In an ideal situation, your perfect data science team would appear at your office, ready to work and paperwork already signed. Unfortunately, that’s not reality just yet. Though, there are still ways to make the hiring process a bit easier with potentially better benefits, too. As opposed to the drawn-out process of posting job listings online, filtering through hundreds — if not thousands — of applicants, scheduling countless phone screenings, and more, you can streamline it at the ODSC East Career Expo. Job fairs are a great way to find your ideal candidate(s) for positions you need filled with the right people. At our Career Expo this May 3-4, you’ll have the chance to meet with thousands of qualified experts in data science, artificial intelligence, machine learning, and more, all eager to work with a forward-thinking company. Why the ODSC East 2019 Career Expo? At past ODSC Career Expos, attendees represented various industries, levels of expertise, job functions, education, and more. 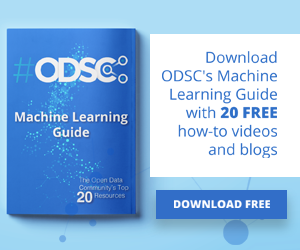 Many individuals who are looking for work at ODSC Career Expos identify as data scientists through-and-through, able to handle a variety of machine learning and AI tasks, regardless of industry. A significant number of data analysts and data engineers attend, too. The Career Expo is also a great way to hire entry-level talent or interns, as a number of students also attend. Don’t feel like you need to specifically be a data science or technology company to find value here. The joy of data science is that it’s applicable to any industry. A few fields that found success at past events ranged from healthcare & pharmaceuticals, finance, marketing, and more. If you need something automated and/or analyzed, then you can find a use for a data science professional. Maybe you’ve heard the term “unicorn” before in reference to a data scientist – someone who can get it all done. People like this are rare, but when they’re found, they’re picked up quickly and offered a job without hesitation. Should you attend the ODSC East Career Expo, you can interview and even make a hire on the spot – no need for phone screenings galore, and no risk for missing out on your unicorn, either. ODSC attendees get fresh knowledge during the conference. Every panel, workshop, and talk they attend only makes them more valuable in their expertise. They’ll walk from learning innovative algorithms and trainings of how to implement new machine learning packages and business use-cases right into the Career Expo next door, ready for you. Every person you’ll meet looking for a new job will bring this fresh knowledge to their next career move, and they’ll make waves wherever they go. 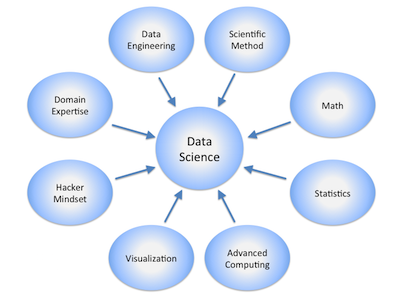 Ready to improve your data science team? 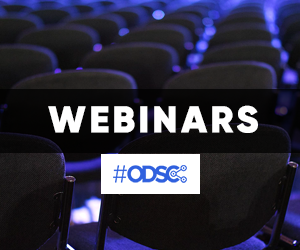 Contact us today and learn how you can become a hiring partner at the ODSC East 2019 Career Expo this May!